1 PAIR BOYS SZ M 7 OLD NAVY DARK BLUE DRESS PANTS CARGO STYLE KHAKIS VERY NICE! Spring Sale Old Navy School Color-Block Raglan Zip Hoodie for Boys! 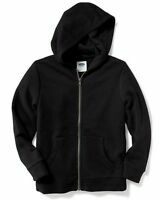 Clearance Sale Old Navy School Black Zip-Front Hoodie for Boys!